Tool with a thick blade attached to a handle, used especially to fell small trees and chop wood. Tool with a curved blade connected to a long handle with two grips, for cutting tall grass or in an area that is inaccessible to a lawn mower. Pruning shears mounted on a long pole whose blade is activated by a cord, for cutting hard-to-reach branches. 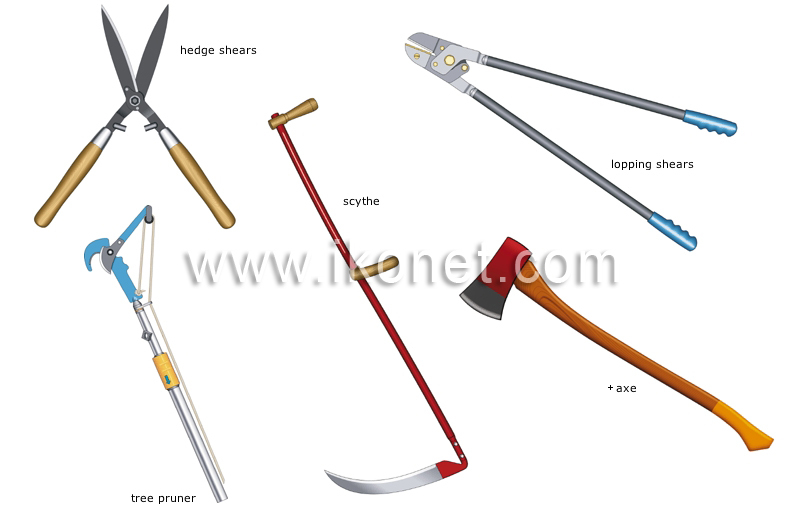 Long-handled pruning shears, used to cut medium-sized branches. Tool with two blades that articulate like scissors, for trimming hedges, borders or perennials.